Weight-loss, health improvement program runs from Mid-January to mid-May, with prizes. Movin' Mountains — the popular countywide weight-loss, health improvement program — is marking its 10th birthday this year. 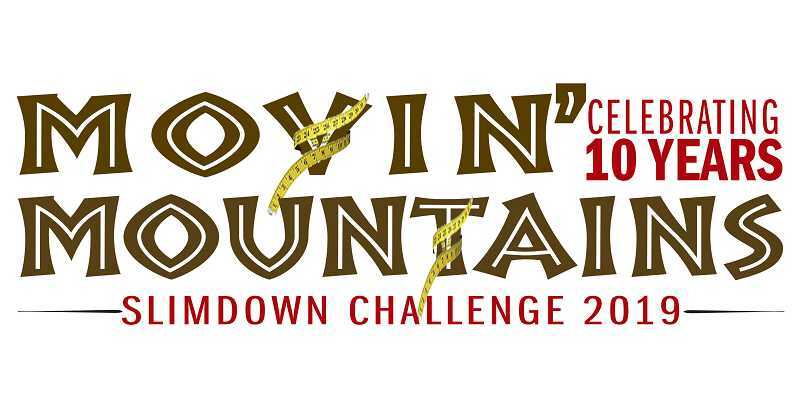 For the past decade, Movin' Mountains has created a fun way for individuals in Jefferson County to lose weight and get healthier through a communitywide friendly competition. During a four-month contest, from mid-January to mid-May, entrants are encouraged to lose weight and live a healthier lifestyle. The prize for doing so: potentially some cash. Movin' Mountains includes various categories of competition, with the cash prize pools dependent on how many entrants are in each specific category. The competitive divisions include individual men and women, as well as two-man teams, two-woman teams, and two-person, mixed gender teams. Participants must join as individuals but can also join one team. People can only enter one team event. "My goal has always been to offer a program where everyone has the opportunity to succeed and feel better about themselves," said Carolyn Harvey, who has been an organizer since the event was established. Harvey is with the Jefferson County Health Department, the presenting sponsor of Movin' Mountains. The 2019 event will kick off with weigh-ins during the third week of January. Weigh-in and measurements will be taken at the Jefferson County Public Health Department, located at 715 SW Fourth St., on Friday, Jan. 18, from 8 a.m. to 6 p.m., and again on Saturday, Jan. 19, from 9 a.m. to 2 p.m. In Warm Springs, weigh-ins and measurements will take place Thursday, Jan. 17, at the Indian Health Services Clinic, from 8 a.m. to 5 p.m.
To even the competition field, and to have more winners, organizers two years ago established weight classes for the individual events for both genders. The weight classes are for the individual competitions only; team events will be full fields. Judging combines percent of weight loss and waist circumference reduction. Theoretically, it's easier for a larger person to lose a larger percentage of weight or inches around the waist. With the various weight classes, more of the entrants are on equal footing heading into the challenge. The entry fee is $25 per person, per event, with a two-event (category) maximum. All the entry fees go to the prize pools. Entry fees must be paid upon registration, cash or check. All entrants that lose at least 5 percent of their weight during the four-month event will earn a Hydro Flask, courtesy of the Warm Springs Community Wellness Program. In this anniversary year, Harvey is very proud of how the event has progressed since starting in 2010. She noted that organizers have always tried to learn and make rules accordingly. Some rule changes since 2010 have included the "No Yo-Yo Rule" (where a participant that placed in a category can only participate and win cash again if they did not gain back 30 percent of the weight they lost), offering any participant that loses 5 percent of their body weight an award, and establishing the weight classes in the individual women's and men's categories so they are competing against their peers. "Finding a way to run a program where someone who weighs 130 pounds or 400 pounds can compete and succeed is challenging, but I feel like that is where the program is now. Each year, I learn more and make the necessary adaptions to the program. But at the end of the challenge each year, seeing the winners make these amazing changes in their health and their lives makes it all worthwhile," said Harvey. "My hope is that this program is building a healthier community ... one person at a time." What better way to start your New Year than with a commitment to improving your fitness and trimming some love handles. Get someone to join you in the quest and field a team, or go it alone. Celebrate Movin' Mountains' big anniversary by getting healthier and maybe winning some money.